3D printing does have many positive societal impacts like with the fact that the new and growing technology of 3D printing and big companies backing it up like Hp and Google it will become more available to the general public. Another advantage is that everyday people can create household appliances by themselves using the 3D which can revolutionize manufacturing. Since the goods are going to be created in households, the price will drop significantly. The new inventions being made can make advances in STEM. 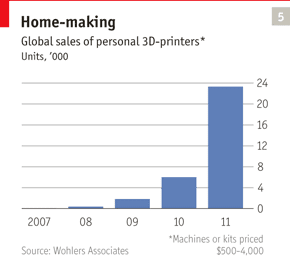 While there are not many political impacts of 3D printing but there are a few impacts. The first thing is that China will no longer be the most mass producing country in the new era for at least a while. This is because 3D printing can create and do repairs with tweaking of software which help America's manufacturing force to increase. Also countries like China will move from east to western countries countries like United States. 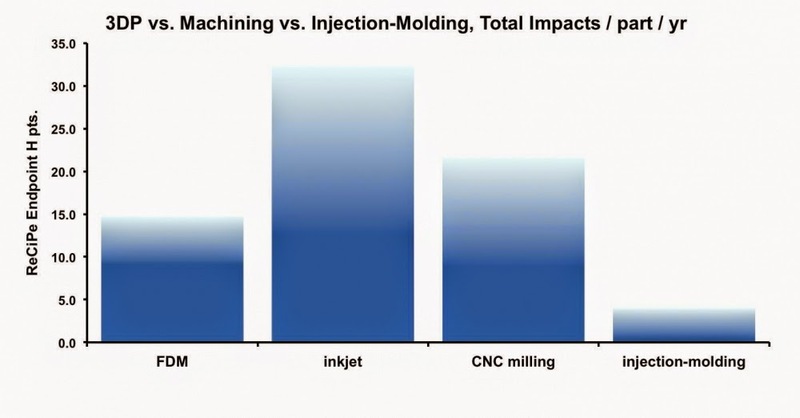 3D printing will have major impacts in the field of technology. 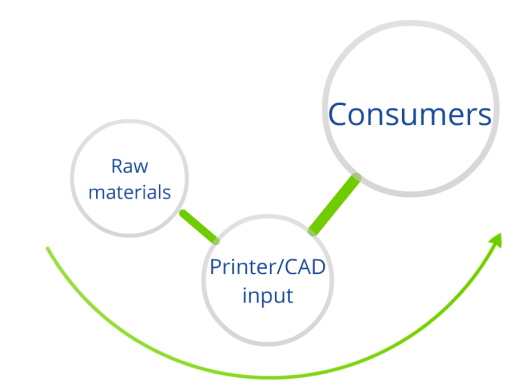 3D printing will lead the way to create many new types technology based of additive manufacturing. Also 3D printing can also help create many new types of components in printers which in turn can help make many more new types of printers for certain occasions. The final major way 3D printers will affect the technology is to also five way to create new technology that is based off the software surrounding the 3D object creation. Even though 3D printing does not have zero waste, it does create much less waste compared to a normal printer. It also creates less raw materials and this will also decrease the amount of waste created from acquiring the raw materials. Another positive impact is that there is less need for packaging which is currently a major issue on landfills. 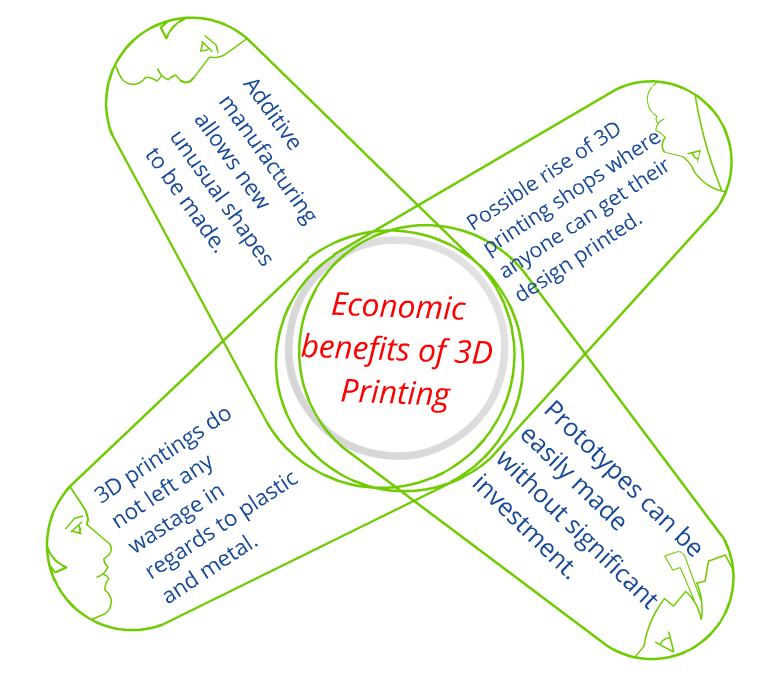 One of the major positive impact is 3D printing will help create mass manufacturing while reducing the amount of carbon footprint that is usually created because of mass production. 3D printing can endanger the social interactions that happen in a community. If every person was focused on creating household products in their house, then the time for social interaction can cut out. It will also create "mass personalization" which will mean there are so many create things on the market that business that don't adapt to the change will decrease. Finally one of the few things that will be gone are the foundation of a strong community such as conversations and outings will gradually become less. 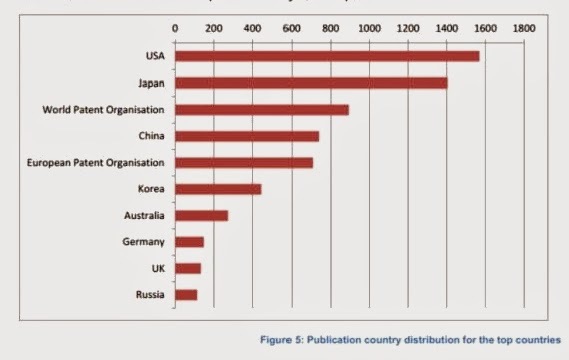 Since 3D printing will gradually shift the mass manufacturing areas from China to United States for at least a brief period of time. Our political and economical relations with China will possibly change to the worse than the better. Many of the rules and regulations surrounding the 3D printing are still blurry and could affect the government in a negative way if they don't figure the rules out. 3D printing can also be a disruptive force to the government concerning the objects that are made using 3D printers. If 3D printing industry's disruptive force was to decimate other industrial industry then it will hurt the economic and the stock market because of companies losing their business. Also the people in companies will also hurt the economy since many people will lose their jobs because the manufacturing chain has decreased and will have to find new jobs. One of the drawbacks of the 3D printers is that it will put some technological industries out of business because the won't be needed that much, since there is 3D printing. Like any new technology it is dehumanizing and 3D printing is also more dehumanizing than it is at having a positive impact on other technologies. Since 3D printers allow things to be created in their homes the need for transportation, packaging and the need for other facilities will decrease over the years. Copyright Printing the Future .